What Is a Fennec Fox? A fennec fox is a diminutive, huge-eared, and appealing little animal that is adapted for desert life. It's the smallest member of the dog family. An adult weighs from two to three and a half pounds and has a body length of only nine to sixteen inches, not including the tail. The fox has an attractive tan and cream-coloured coat and a small, pointed face. 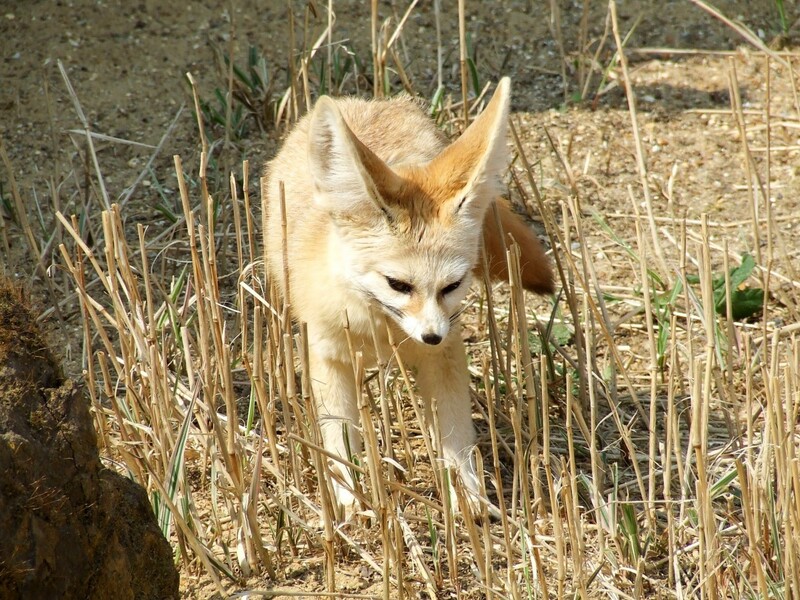 Fennec foxes live in the desert and semi-desert areas of North Africa. Their outsized ears contain numerous blood vessels near the surface of the skin and are used to radiate heat out of the body. This helps to keep the animals cool in their hot environment. 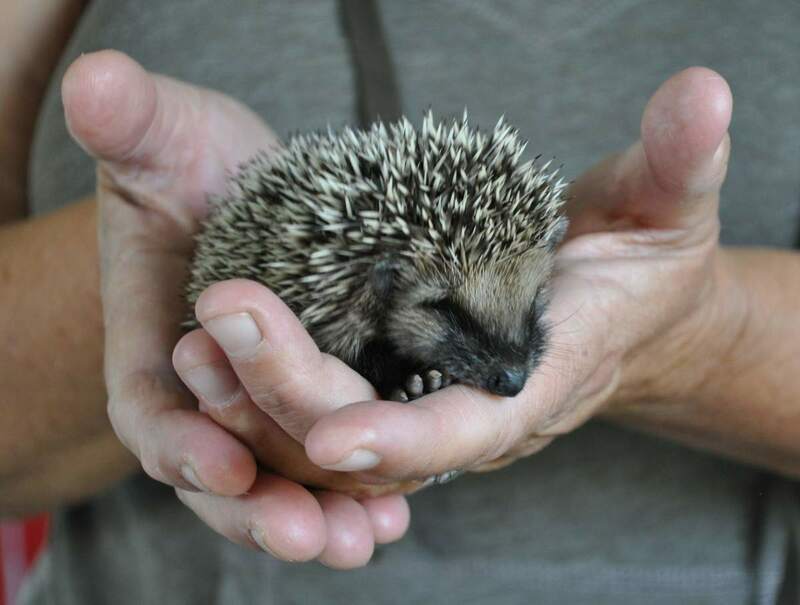 The animals are sometimes kept as exotic pets and are bred for this purpose. Owners say that keeping a fennec fox as a pet can be rewarding but requires a lot of work. Although fennec foxes are bred in captivity, they aren't domesticated animals. Fennec foxes belong to the family Canidae and have the scientific name Vulpes zerda. The members of the genus Vulpes are considered to be true foxes. The most noticeable feature of a fennec fox is its amazing ears. The ears contain long, white hairs that help to prevent sand and insects from entering them. The fox also has very dark eyes and a small, narrow muzzle. The animal has an overall sandy to white colour, but there are a few darker patches on its coat. A reddish brown streak runs from the inner corner of each eye downwards over the side of the muzzle, ending at the mouth. The fox's long and bushy tail is tipped with black. There is also a black patch on the base of the tail near the body. A male fox is called a reynard or a dog. A female fox is known as a vixen. The youngsters are known as kits or cubs. Wild fennec foxes are mainly nocturnal creatures. They hunt at night when the temperature is cooler than during the day. They sometimes come out of their burrows during the daytime, however. Their dense coat helps to keep them warm at night, when temperatures sometimes fall below freezing. The light colour of the coat camouflages the foxes against the sand when they're active during the day. It also reflects sunlight, helping to keep the foxes cool. 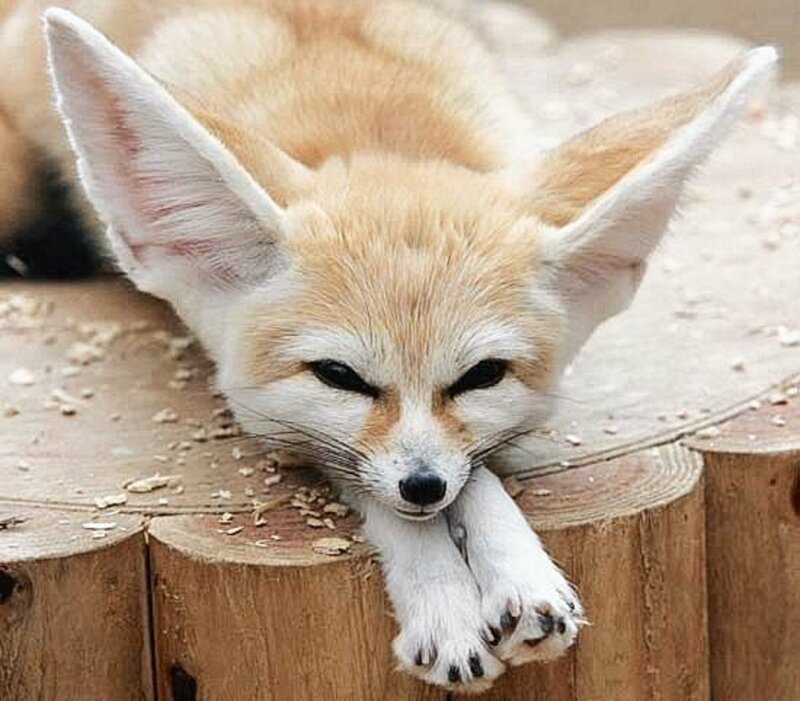 Fennec foxes have thick hair on the pads of their paws. The hair helps to protect the paws when a fox is travelling over hot sand or rock. It also provides traction when the animal is moving over loose sand. A fennec fox generally spends the day in a burrow that it has dug in the sand, but it may come to the surface to explore, play, and sunbathe. The burrow, or den, is often located at the bottom of a slope such as a stable sand dune and is lined with soft fur, feathers, and sometimes plants. The foxes prefer to build their den in an area that has vegetation nearby. This vegetation is generally sparse in the desert. The den is large and may be occupied by as many as ten animals. These animals include the male and female, which mate for life, and their offspring of various ages. Older siblings help to take of younger ones. The den has several entrances, long tunnels, and different sections that connect to each other. The dominant male marks the territory around the den with urine and feces. A community of foxes in the wild is known as a skulk, a leash, or an earth. The word "earth" also refers to a fox den. Fennec foxes are very social animals within their community and have a variety of vocalizations, including squeals, yaps, and barks. Despite their social lives in their dens, they are solitary hunters. The animals have an omnivorous diet. At night, they hunt for rodents, lizards, birds, bird eggs, and insects. They also eat plants, including leaves, fruits, and roots. 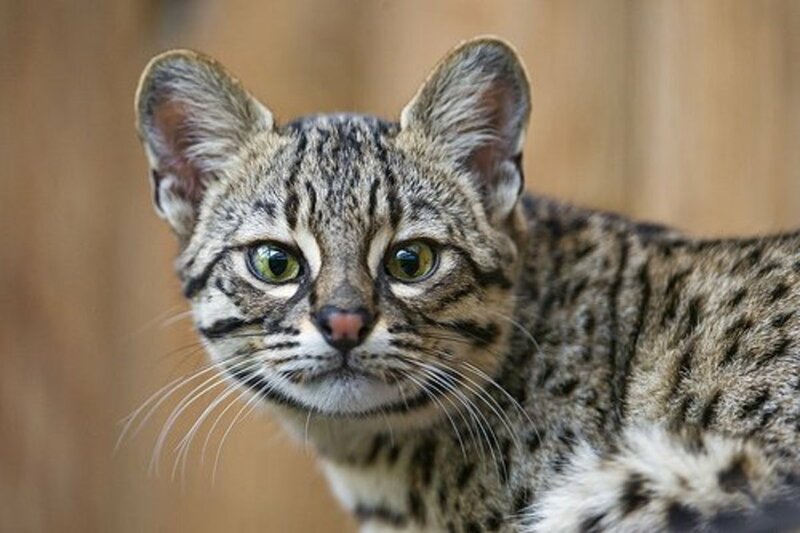 Their large ears are very sensitive to sound and enable them to hear small prey animals moving underground or over the sand. Their kidneys are adapted to conserve water, enabling them to go for long periods without drinking. They get some water from the food that they eat, however. The foxes are excellent diggers. They can dig into loosely packed sand so quickly that it sometimes seems to observers that they are disappearing by magic. The ability to dig is one of the factors that owners of pet fennec foxes need to keep in mind. Fennec foxes are monogamous and generally mate with the same partner for life. In the wild, the foxes mate in January or February. The babies are born after a gestation period of about fifty days, which means that they are born in March or April. The litter consists of two to five kits. At first the kits' eyes are closed and the babies are helpless. The eyes open when the kits are between ten days and two weeks old. When the babies are very young the female fox will not allow the male fox into the den, but soon both parents rear and protect the kits. The babies are weaned at between sixty and seventy days of age. They reach reproductive maturity when they are around ten months old. Fennec foxes generally live for twelve to thirteen years in captivity. Their lifespan is likely shorter in the wild. Their population size isn't known for certain, but since they are often seen in the wild it's assumed that they aren't endangered. They do have some predators, however. Humans catch them to obtain their fur and to display and sell them to tourists. Some wild animals hunt the foxes for food. 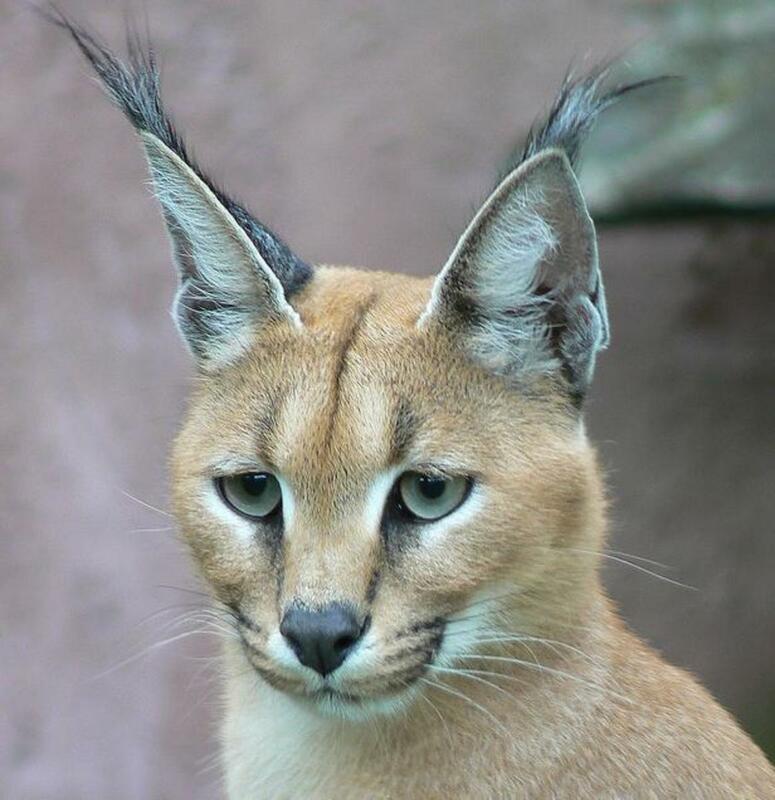 These animals include the caracal (a type of wild cat), jackals, striped hyenas, and eagle owls. Luckily for the foxes, they are difficult animals to capture. The IUCN (International Union for Conservation of Nature) classifies the fennec fox population in the "Least Concern" category of its Red List for endangered species. It appears that the threats to the animal's population are not serious enough to significantly affect its numbers, at least at the moment. The IUCN says that the population is currently stable. 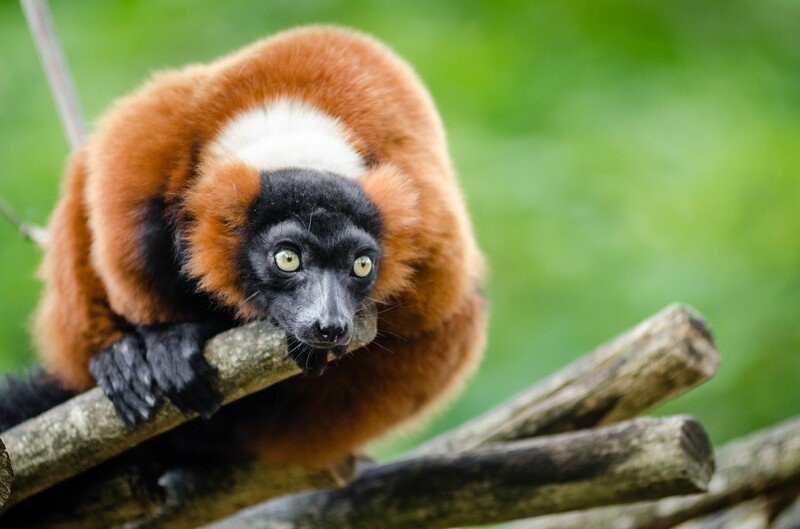 Work on captive populations is encouraged, but an in-depth study of the species, with particular emphasis on habitat use and population dynamics in the wild is overdue. Many people are attracted to fennec foxes by their adorable appearance. People who keep the animals in their home say that they can make good house pets, but they must be well socialized when they are young. They are energetic, playful, and curious animals. Experienced owners say that the foxes are often friendly and frequently enjoy being stroked. In addition, they like playing with other household pets, as shown in the video above. The animals can be trained like a dog to come when called and fetch items that are thrown. They also like to play with toys. Fennec foxes can be trained to use a litter box, but some foxes use them more often than others. Many have "accidents" even when a litter box is available. Some people take their fox for a walk outside the house with their pet securely attached to a leash and harness. Fennec foxes can run very fast, however. If they escape from their leash, they will be very hard to catch as they eagerly rush away to explore and hunt. Some owners believe that it's just too risky to take the animals outside if they're not in a secure pet carrier. The foxes love to dig and need a digging area to play in. They are also excellent jumpers and can leap over barriers. It's often reported that they can leap to a height three times greater than their body height and over a distance four times longer than their body length. They are also said to be able to dig twenty feet in one night in their natural habitat. If a pet fox has an outdoor enclosure the walls must be extended below the ground or the fox may dig under them. This is one reason why most fennec foxes are kept as indoor pets. Although videos of pet fennec foxes playing are very cute, the foxes are not domesticated animals. Domestication of a wild animal takes many generations of selective breeding. At the moment, fennec fox breeders have to remove the kits from their parents at a very young age—usually before their eyes open—and hand rear them in order to socialize them to humans. A pet fox must get regular attention from humans. Daily exercise is also very important. The fox's high energy and urge to dig may be hard to deal with. Its bursts of energy also may overwhelm other family pets. Fennec foxes are considered to be "escape artists". Enclosures, harnesses, and leashes need to be designed with care and their condition checked regularly. 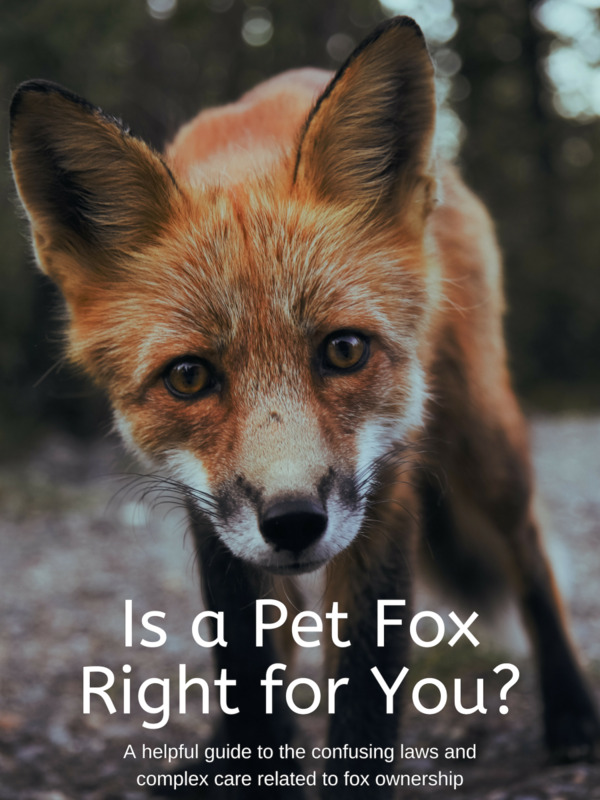 Before getting a fennec fox as a pet, it's important that the prospective owner makes sure that they have access to a veterinarian who is experienced in treating the animals. An experienced breeder who is willing to keep in touch and answer questions is also a valuable resource. It's illegal to keep fennec foxes as pets in some areas. Even when it's legal, prospective owners need to do a great deal of research into methods of integrating the animal into the family and home and caring for it properly. 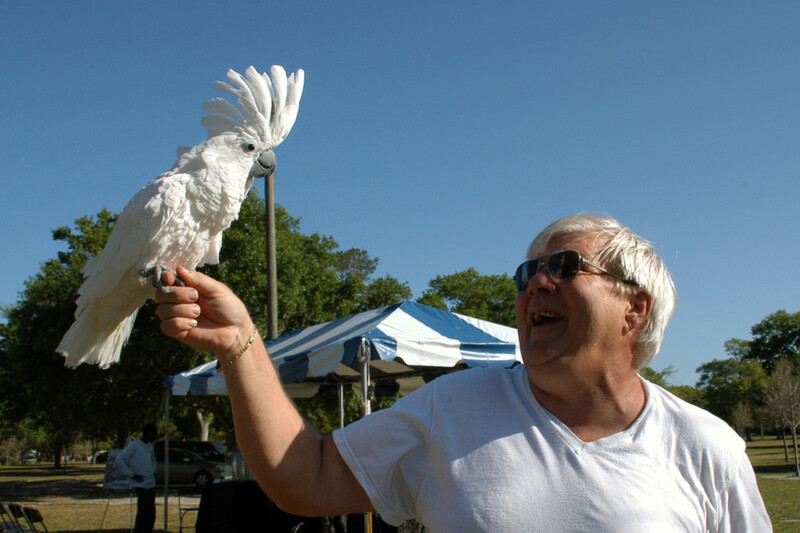 Keeping an exotic pet is a big undertaking and requires a lot of work and patience. Anyone who wants to purchase a fennec fox needs to forget about the animal's cuteness and seriously consider whether they are prepared for the long-term responsibilities involved in caring for the pet. This is important for the sake of the animal and for the sake of the owner. Hi, ArtDiva. I think that the foxes are definitely cute! Their ears are impressive. Thank you very much for the comment and the congratulations. Love these little guys and those bat ears. That crazy running around and round would bet is a form of exercise like my cat does every morning. Have one posted on my Facebook page. Always look like they are smiling. Was looking for another of your articles,but this caught my attention. And while here, congratulations on your Hubbie award. Hi, Stephanie. I can understand your reaction to fennec foxes! They are lovely animals to observe. I love fennec foxes. I thought they were the cutest thing the first time I saw them on a documentary. Hi, kalinin1158. I agree - fennec foxes are cute, but I won't be adding a fox to my dog family! Thank you for the comment and vote. I've never heard of these animals. They are adorable! 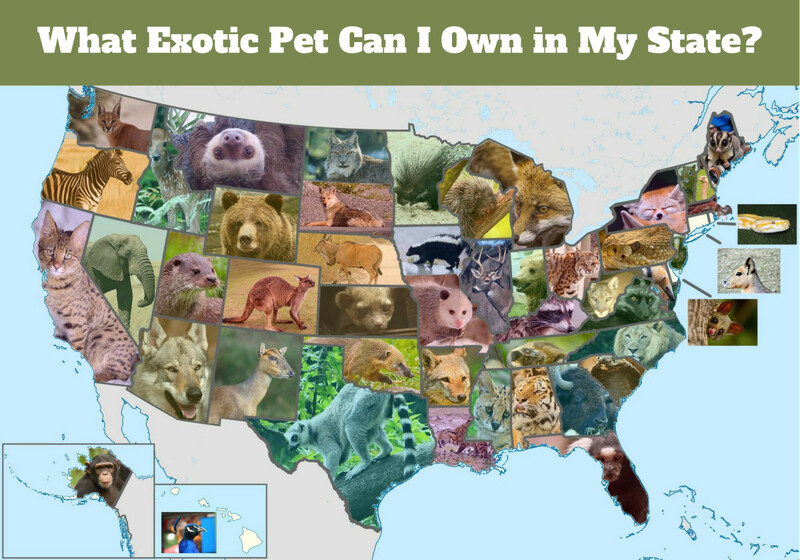 But they do seem to be more on a wild side than domesticated...I'll just stick to the 3 dogs I already have :) Voted up! Thank you very much, EsJam. The fennec fox is cute. It's interesting to look at photos and videos of the fox! Aw, how cuuute. Loved the playing with the cat video and the Yoda look on pic #2. Lots of interesting information! Thank you very much for the comment, votes and share, Andrew. I'm very glad to hear that foxes are thriving where you live. They are lovely animals that are very interesting to observe. They definitely belong in the wild. Interesting and thorough article Alicia. 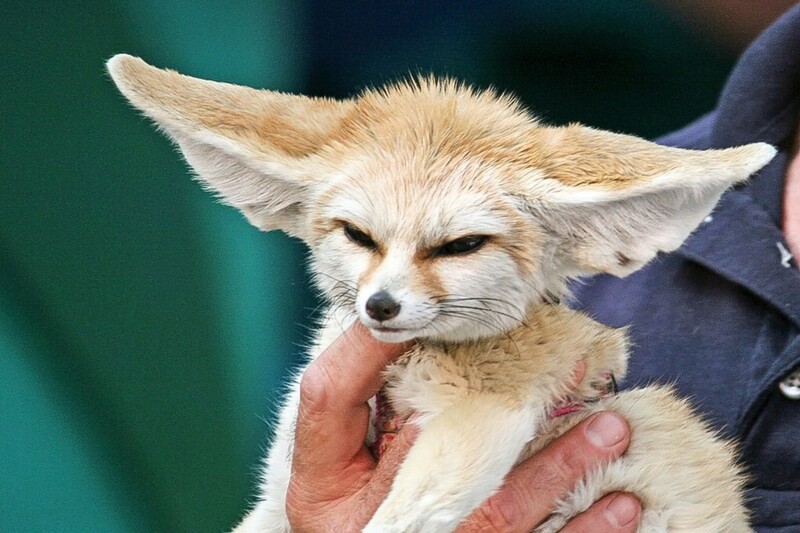 I'm always amazed by the way animals evolve to become suited to a particular environment - in this case just look at those ears perfect for night time desert life, and I'd say the fennec's sense of smell is pretty acute too. Most foxes are clever and wily as the stories tell, and super adaptable. Here in the UK foxes are now thriving in some parts of London, welcomed by some, persecuted by others. We have lots here and I love to watch the cubs playing around in the thick meadows April/May/June time. You have to be quiet and very well hid. The fennec fox is a beauty and should stay out in the wild in my opinion. If I were in charge I'd have all wild animals protected! Votes and a share for the fennec fox. Hi, Alun. I agree - the foxes are very cute and very energetic! Thank you for the comment and the vote. I hope the new year has started well for you. Linda; I've been familiar with photos of the fennec fox for a long time, and ever since I first saw them I've thought of them as possibly the cutest animals on Earth. No kidding. I've seen them occasionally in nature documentaries, but never in a domestic setting, and it was amazing to see just how much energy they have! But I've never seen one live - I once spent ages staring at a sandy enclosure in a nocturnal animal house at London Zoo, but the fox never materialised - probably fast asleep in its burrow. What a disappointment! Hi, peachpurple. No, fennec foxes are small animals. will the fox grow big like the wolves? Hi, thoughtfulgirl2. Yes, fennec foxes are cute and energetic, but they really do belong in the wild. Thanks for the visit. Interesting hub and they are quite cute, but I think a wild animal should remain wild and free. They do have some crazy energy though! Thanks for the visit and the comment , techygran. I agree - the foxes are cute, but they do have so much energy! These little Fennec foxes are really cute, as you said, but they have much more energy than I could handle again in a pet... Thank you for telling about them, and selecting those very interesting videos as part of your presentation! Thank you very much for the comment, torrilynn. I appreciate your visit! 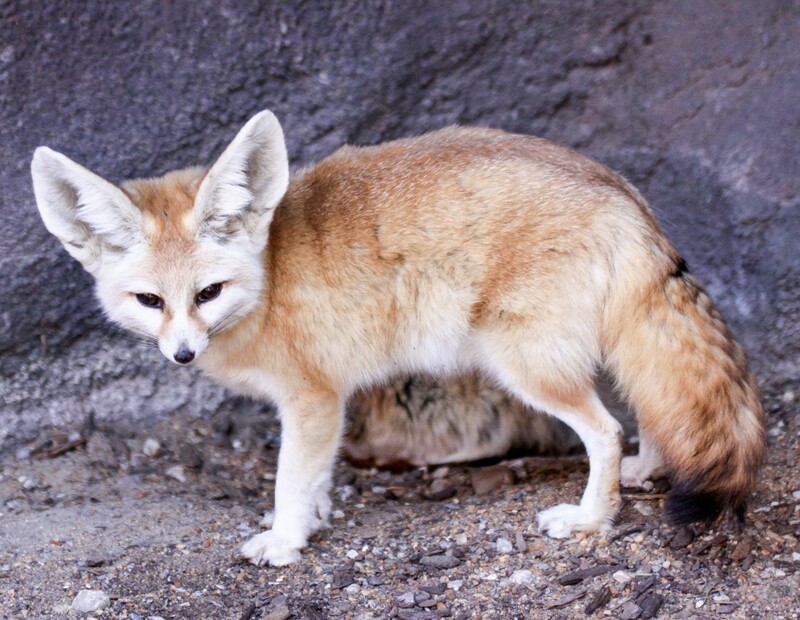 I've always thought these type of foxes to be really cute i didn't however know that they live in the desert. i guess you learn something new everyday on hubpages. thanks for the read. Hi, RTalloni. Yes, the fennec fox does have an adorable appearance, and its behavior is interesting and entertaining. but very serious consideration is needed before one is brought home as a pet. Thanks for the comment! Thanks for this look at a neat animal and for the important highlight of the considerations one needs to seriously evaluate if they are thinking of becoming an owner. It's a really adorable little animal! Thank you very much, Tolovaj. I appreciate your visit and comment! I love the exotic look of fennec foxes. Never thought of them as possible pets, but again - why not, if their habitat is suitable. Lovely photos! Hi, CraftytotheCore. Yes, these foxes are definitely adorable animals! This is so amazing! I never heard of this animal before. They are so adorable. Hi, Peg. I agree - it is important that fennec foxes can behave naturally. It was very interesting to read that a rescue dog who was new to your family returned voluntarily after escaping. I guess he knew that he'd come to a good home! Thank you very much for the comment. These little animals are adorably cute with a Yoda look about them. I would hate to take them from their natural environment where their natural tendencies are to dig. It's doubtful that they would be truly happy if prevented from this. One of the dogs I rescued was an escape artist who dug his way out of his isolation pen before I could socialize him with my other pets. I like to keep them separate until they are checked over by the vet to avoid spreading illness. Fortunately for me, he returned a bit later in the day and managed to stay for 12 more years. I thoroughly enjoyed learning about this fascinating creature and the pictures were lovely. Yes, these foxes are cute animals! Thank you for the comment, Carolyn. Love this one too! Fennec fox is such a little cutie! Thank you so much for all the votes and the share, Linda! I appreciate your visit as well as the lovely and interesting comment. I see a coyote on some of my dog walks instead of a fox. Usually the coyotes don't bother us, but sometimes their behavior is unnerving, just as the fox's behavior was for you! Hi Alicia-What an entertaining hub. You have a great mix of great information about the foxes, mixed with photo's and videos. I was laughing so hard watching that fox run around like a crazy maniac. They are absolutely adorable. Just a funny FYI: I live on Foxgate Drive, and it must be so named because we see fox all the time. Their not the Fennec of course, but are the size of dogs and red in color. The other day when I was walking my dogs, we saw one and I made a noise to scare it away, but it came even closer. Eventually it did run away but it was kind of unnerving. Great hub Alicia. I hit every button and voted up and will share it as well. Thanks for the comment, Rolly. Fennec foxes are fascinating animals. They would be interesting pets, although I think they might be hard to care for! Thank you, Faith A Mullen. The fennec fox is certainly super cute! It's a lovely animal. Thank you so much for the lovely comment and the congratulations, jaydene! I appreciate your visit. Congratulations on your win:) This and so many of your other hubs are so interesting, packed with information I had never known. Hi, midget38. Thank you very much for the visit and the comment. Arnold is certainly a cute little guy. It's fun to watch his antics! Hi! This little fellow reminds me of a chihuahua. Such a cutie! Thanks for sharing...I was enjoying Arnold exploring there. Passing it on. Hi, unknown spy. I agree - fennec foxes are lovely animals! Thanks for the visit. Hi, Nell. Thanks for the visit. Fennec foxes are beautiful animals, and they do look adorable in the videos. I think it would be a challenge to care for them, though! How did I miss this? what beautiful little animals. And I can see why people would like to keep them as pets. I personally would rather see them in their natural environment, but as long as they can be looked after properly then maybe its okay to keep them, oh and those gorgeous ears! lol! Thanks for the visit and the vote, ignugent17. I think that fennec foxes are cute, too! They're fascinating little animals. They are so cute and I did not know that they are fast in digging. They can be included in some magic trick. Thank you for the comment and for the vote, ChristyWrites. I appreciate your visit. Fennec foxes are interesting little animals! How interesting, and I knew nothing about this topic before reading your hub. Thanks for the info, voted up! Hi, frty. Many people think that fennec foxes are cute, but not everybody does! Their large ears certainly make them look unusual. Thank you very much, Eddy! I hope that you have a wonderful day as well. Well Alicia,how I missed all these beautiful hubs I will never know!! But better late than never and you now have another loyal follower. Takecare and I wish you a wonderful day. Hi, margie. You've raised some very good points. Fennec foxes are certainly adorable, but they aren't really domesticated. It does seem wrong to remove them from their mothers at such a young age to enable them to be a human pet, especially when there are so many dogs in need of homes. These animals are too adorable. But doesn't it stress the poor mother out to no end to have her babies taken from her so young? Why do it when there are so many homeless animals as it is? Hi, KittenFish87. The website that you mention looks interesting! I'll have to explore it some more. Thanks for the comment. Sorry, Simone, it's not legal to keep a fennec fox as a personal pet in California. In some states it's legal, although sometimes the owner has to have a permit, but in California it can't be done at the moment. I agree with you though - fennec foxes are very cute! Hi, Carrie. Thanks for the visit and comment. Yes, fennec foxes are lovely animals! OMG they are soo cute!! I never knew that a fox can also be raised as pet. I think they are best when left into the wild to explore and live their own life!! But they are really cute,sweet nose, shrewd eyes, incredibly large ears!! Thanks a lot for the comment, CMHypno. Their huge ears and tiny face and body do make fennec foxes look cute! Fennec foxes have such cute little faces under those huge ears! Great photos and a great hub! Thank you very much Prasetio. I hope that your students enjoy the videos and the hub and that you have an enjoyable school year! My friend, Alicia. Thank you very much for writing and share this valuable information with us. I had never knew about this animal before. I'll show this to my student tomorrow. I believe they'll love all the pictures and the videos as well. Great job and thumbs up for you. Hi, Martie. Thank you very much for the comment and the vote and for sharing the hub. Google "says" that the fennec fox lives in the northern part of Africa right now, in Morocco, Algeria, Tunisia, Libya, Egypt, Western Sahara, Mauritania, Mali, Niger, Chad and Sudan, and is also found in the Arabian Peninsula, but who knows what the future will bring! What an interesting hub about Fennec Foxes - brand new knowledge for me! I wonder where we down here in SA will get them? I guess I should ask Google. Alicia, I'm sharing this with a friend of mine who loves animals more than she loves herself. Voted up and awesome! Thank you, Chatkath. I think fennec foxes are especially cute too! How adorable these guys are, you are always bringing us a wealth of information Alicia, but these foxes are especially cute. Thanks for sharing. Thank you for both the comment and the poem, drbj! You better buy it a litter box. Thanks for the fact-filled fennec information, Alicia. They are kinda cute lil critters. Hi, b. Malin. 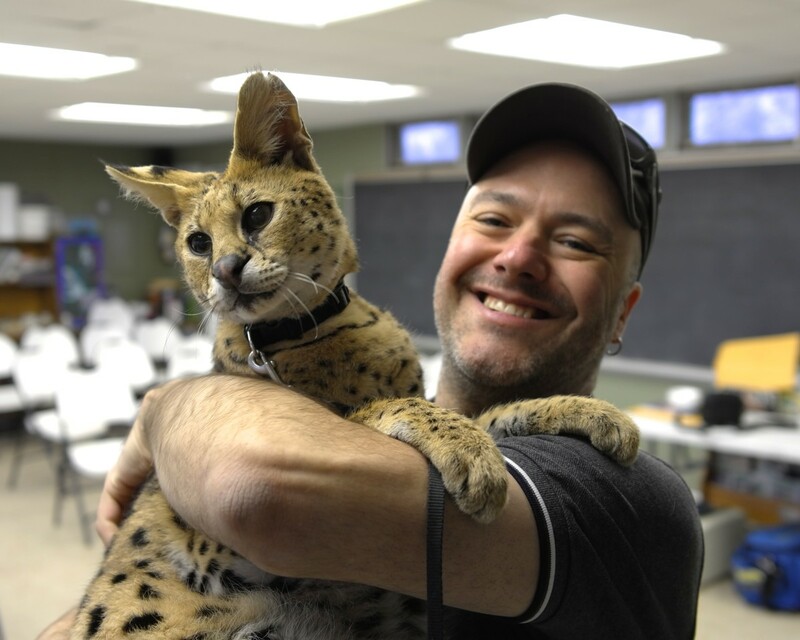 Some owners feed their fennec fox dog food, some feed them cat food and some feed them both! The owners also add fruits and vegetables to the diet, since fennec foxes are omnivores, and sometimes a little chicken. They take their foxes to the vet for vaccinations and treatments just like they would take a dog, although they try to find a vet that is familiar with foxes. Fennec foxes are adorable animals, but it certainly would be a commitment to look after one! Alicia, what an Interesting Read...These Foxes are adorable...but I'm wondering when they become someone's pet, what do they feed them...Cat Food, Dog Food...and they can live to be 12 Wow, that quite a Commitment...and wonder if the owner takes them to a Vet? Thanks so much for the comment and for the votes, kashmir56! I appreciate your visit to my hub. Fennec foxes are very interesting animals to write about. Hi my friend this was a very interesting hub and i loved all the beautiful photos and videos . Hi, moonlake. I agree. I'd like to meet a happy pet fennec fox and get to know him or her, but I don't want to own one myself. I don't have the time or energy to look after the fox properly and fulfill its needs, and I really don't think the fox would fit in with my big pet family, which includes free flying birds! Thanks for the comment. They are cute but I don't think I would want one. Good hub. Thank you very much for the comment and the votes, Lucky Cats! I too have very mixed feelings about keeping fennec foxes as pets. It’s good that they are bred for the pet market instead of being caught in the wild, and they certainly have some very appealing characteristics, but their instincts are still those of a wild animal. I have no experience owning a fennec fox, but it seems to me that it would require a very dedicated person to keep a fennec fox truly happy in captivity.